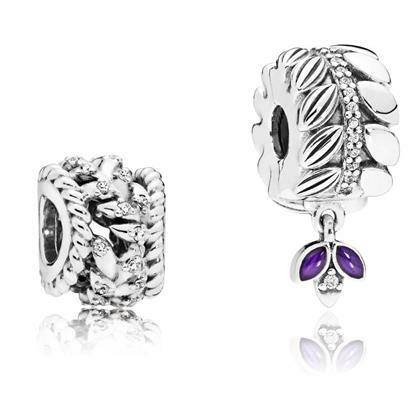 This Dazzling Grains Charm Set is the perfect combination of two elegant sterling silver and cubic zirconia openwork charms that will dance and swirl their way around your bracelet. ■Please note that sterling silver jewelry tarnishes easily in humid climates. Easier to maintain when worn regularly, we encourage you to care for your sterling silver jewelry on a daily basis. Clean it with a polishing cloth, perfect for making your jewelry shine again.